I haven't played any wargames since 2017 some time with Blood Bowl. And I haven't painted any miniatures since. I have these lulls in my hobbies as you'll see by my painting high score in the side bar. 2016 was another year of no wargaming or painting as this 2016 update post will attest to. 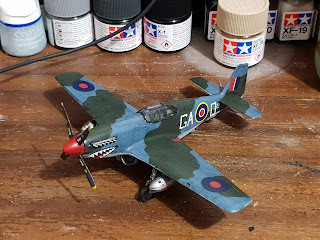 Recently, however, I went with a friend to a plastic model expo in Upper Hutt, Wellington, NZ, hosted by the local modellers club. Everything from cars to armour to planes to scifi was there, and it got me a little excited again. I've built non wargaming plastic models before, but few and far between since I was a kid. 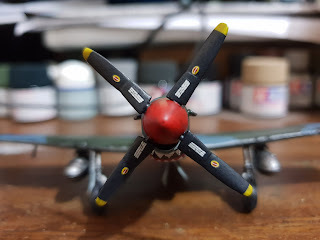 It dawned on me that I could get back into a hobby with modelling and painting without having to go outside and interact with other humans! Sounded great to me! So I picked myself up a couple of cheap kits, and have finished one so far--a Revell Mustang P51B. I also found an $8 Sopwith Camel (which I only know of from a PC game of the same name in the 80s) and have built that up but not painted it yet. My interests aren't just in planes--I love cars, armour, and scifi as well, so will try and pick up more kits as the budget allows. It could well be that this gives me some motivation to paint up some minis too because I still have some Warmaster Undead and 6mm Plasmablast minis I need to finish. Do you built plastic model kits as well as wargaming models? I'd love to hear more. I can't leave you fine folk without some pictures, so here are some shots of the finished Mustang. These are brush painted, but I'm going to start airbrushing some kits too, so we'll see how that turns out. 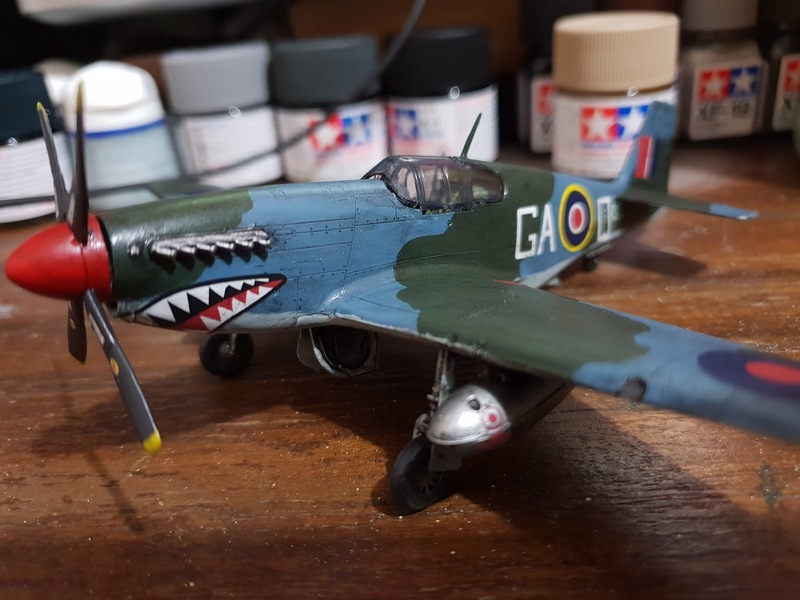 Like you I have lulls, usually because all the projects get the better of me and yet buying into the Battlegroup WWII rules allowed me to go back to my roots and start building 1/72 scale tanks and planes again. Plus the odd model from a supermarket at a cheap price really helped. As you said you don’t even need to interact with others, cool hey. Hi Chris, yeah, that sounds really good. It's nice having those common scales. Haven't played Battlegroup as everyone I know plays FoW. But always wanted to have a crack at a different set of WWII rules. How do you find it?